Plenty of top 25 games are on Saturday’s slate while conference races heat up and bubble teams look for key wins. Coming off the crushing home loss to Duke on Wednesday, how will the Tar Heels respond? Without P.J. Hairston (sore foot) in the lineup, things could get a little dicey for #5 UNC. 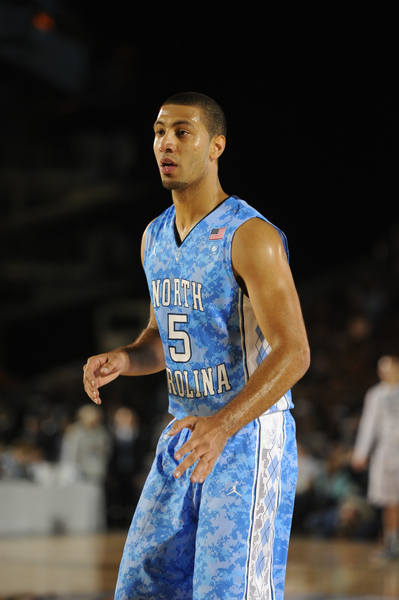 Hairston’s absence severely limits Carolina’s already thin back court depth. This game is going to be all about pace. Virginia plays at one of the slowest paces in the nation while North Carolina is one of the fastest teams. Point guard Kendall Marshallhas to get his team running as much as they can but we’ve seen time and time again how it is much easier to slow a game down than it is to speed it up. Wisconsin did this effectively at the Dean Dome earlier this season and you’re going to see the same blueprint from Virginia. The Cavaliers do a great job defending the three-point arc so UNC will likely get almost all of its points from inside or the free throw line. The Tar Heels are among the bottom five teams in America in terms of threes attempted to begin with and get 61.8% of their points from two-point range on average. Marshall and his teammates must be able to penetrate and move the ball well against Virginia’s strong half court defense. How Will Marshall & The Tar Heels Respond To Tuesday's Last Second Loss? Virginia’s biggest strengths are its defense and play of forward Mike Scott. At 60.3% from the field, Scott is among the best interior players in the nation, but will have to receive some help from a thin UVA front line in this game. Led by Tyler Zeller and John Henson, North Carolina has a ton of height up front that could give Scott a lot of problems. With Assane Sene still out with an ankle injury, the burden of helping Scott against UNC’s imposing front line falls to Akil Mitchell. His presence will be needed more on the defensive end to limit Zeller and Henson but Virginia is not going to win if Scott doesn’t score. Mitchell must be enough of a threat to prevent quick double teams on Scott, allowing him to maneuver around the UNC trees. Defensively, Virginia will look to pack its defense in and prevent Marshall from penetrating and dishing to Zeller and Henson. Making opponents take tough shots is something Virginia does really well and the Cavaliers will need to do it again. Harrison Barnes will likely oblige but Mitchell and Scott must force Zeller and Henson into shots outside the paint or falling away from the basket. If you allow those guys to receive the ball in the paint, you’re finished. Even though Virginia will likely slow the game down to a pace of its liking, the Cavaliers still must score the basketball. Sammy Zeglinski is five for his last 19 from the floor over the past three games and Jontel Evans has to have a good game at the point guard position. Virginia can’t turn the ball over and fuel the Carolina transition attack. It would also help if Joe Harris was knocking down triples, especially if Zeglinski can’t get out of his funk. Keep an eye on rebounding. North Carolina did a great job against Duke, showing some toughness on the glass that we haven’t always seen this year. Virginia is fourth nationally in defensive rebounding percentage but the Cavs really struggle on the offensive end. If the shots aren’t falling, Virginia will have a lot of one and done possessions if it can’t do a better job on the offensive glass. Good rebounding also helps a team control tempo and that’s exactly what Virginia needs to do in order to win this game on the road. McDermott Continues To Impress—Doug McDermott continues to be on the radar of most major college basketball lists, especially with his 44-point performance against Bradley on Saturday night, which is tops in college hoops this season and the most for an MVC player since 1999. Jay Bilas of ESPN even tabbed McDermott as the mid-season Player of the Year. It will be interesting to see ultimately how McDermott handles all of this attention. Look out for Illinois State—Illinois State has been criticized the past few seasons due to how coach Tim Jankovich scheduled his team in non-conference play. The schedule was upgraded slightly this season and it may be paying dividends in conference play. They have won six of their last eight, including a last second three-pointer by Jackie Carmichael, his first of his career, to defeat Evansville (video below). Illinois State also gave Wichita State everything they could handle on Tuesday night. Scoring In Bunches—In addition to McDermott’s career night this week, there have been several other players that had big outings. Colt Ryan of Evansville scored 31 points against Wichita State and 25 against Illinois St., the Shockers’ Garrett Stutz had 29 points against Evansville and Rayvonte Rice (Drake) and Anthony James (Northern Iowa) went 27 and 26, respectively, against each other in their game this week. A lot of individual performances are arising this season in a conference that is generally known for its defense. After the first week of MVC play, a lot of positions changed in the power rankings (last week’s ranking in parentheses). Creighton Cracks The Polls—This week, for the first time since March 2007, the Bluejays are ranked in one of the major polls. They check in at #25 in the USA Today Coaches poll. The last team from the MVC to be ranked by the coaches was Northern Iowa, which was 13th in the final USA Today Coaches poll at the conclusion of the 2009-10 campaign. While many saw Creighton as a sleeper this season, they now have a large target on their back. Wichita State Falls Short—Last season, Wichita State faltered in the Maui Invitational by missing some opportunities to get some big name wins and did not have everything completely come together until they won the postseason NIT. This season, they also struggled to get the wins they need from their exempt tournament, the Puerto Rico Tip-off. They did beat Colorado, but then lost to Alabama and Temple. The good news is that they probably have a few more opportunities outside of this tournament this season. Seat on Fire In Carbondale—Many knew that Chris Lowery was on the hot seat at Southern Illinois coming into this season. Three games in, the question is whether he should have been allowed to come back this season after all. With an 0-3 start, including a loss against Division II Ohio Dominican, this could be another long season in Carbondale. The McDermotts Have Creighton Crashing The Polls In November. Patrick Marshall of White & Blue Review is the RTC correspondent for the Missouri Valley Conference. You can find him on Twitter @wildjays. Back to Multiple Bids? : The Missouri Valley Conference is getting a little more attention entering this season than in the past, and rightfully so. Six of the top ten scorers in the league are back along with four of the top five rebounders. The league is looking to have the impact it had back in the 2005-06 season, when it sent four teams to the NCAA Tournament. Since then, only the automatic qualifier from the MVC Tournament has advanced to The Dance. With so many talented upperclassmen, there could be an opportunity for The Valley to get closer to that status of six years ago. Kyle Weems or Doug McDermott? : There are a lot of people that have probably forgotten that Kyle Weems of Missouri State was the MVC Player of the Year last season with all the buzz that Creighton’s Doug McDermott received over the summer. Going into 2011-12, one hotly-debated topic is whether Weems can repeat or if McDermott will build upon his MVC Freshman of the Year performance. McDermott was only the second freshman in the 100-year-plus history of the MVC to get first team all-conference honors. 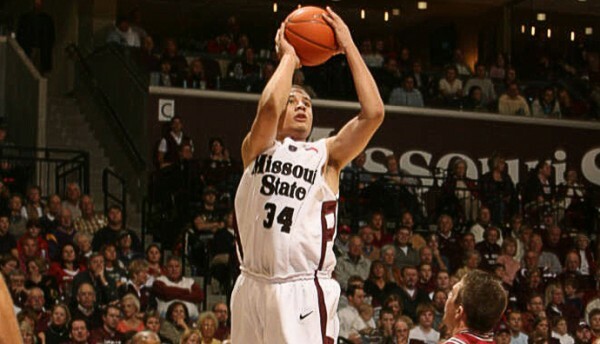 Weems tried to lead Missouri State to the NCAA Tournament, but came up just short. Due to the personnel losses by the Bears, including their coach, and all of the returning players for the Bluejays, can Weems surprise the “experts” and have even better success to repeat? New Ford Center: Evansville will start the season in a new downtown arena, the Ford Center. They open it in style with in-state powers Butler and Indiana visiting to start the season. This building represents the continual facility improvements for the Missouri Valley Conference member schools. Creighton started the trend with the Qwest Center (recently renamed CenturyLink Center). Northern Iowa followed suit with its own basketball building in the McLeod Center. Missouri State opened JQH Arena a couple years later and in Wichita, a new arena was built to complement Koch Arena as a place where the Shockers can play a game or two a year. Southern Illinois spent almost $30 million to renovate SIU Arena. So if you are looking for a conference that keeps upgrading the basketball environment like a major conference, this is where you should go. Scheduling Philosophies: In the past, the MVC member schools would hold back a game on their schedules to try to get a home-and-home series against a high-major school. Although this has worked out in the past, it sort of backfired this season. As a result, many of the final games scheduled for each team will come against a non-Division I school, and in other cases, a game was not even scheduled, leaving a gap between the end of the regular season slate and the conference tournament. Creighton and Illinois State chose to schedule one game fewer than the number of games they could have scheduled while the rest of the schools scheduled the likes of Loras College, Emporia State, Upper Iowa, Maryville and others as a regular season game on the schedule. With almost 350 teams in Division-I, that isn’t a good sign for a non-major, major conference. 20 Questions: Who is the Most Underrated Team in America? Brian Otskey is RTC’s Big East correspondent and a regular contributor. Question: Who is the Most Underrated Team in America? Selecting an “underrated” team is always a difficult proposition. Plenty of teams could qualify for this distinction but it’s a highly subjective choice, routinely exhibited in national polls where one voter’s opinion can be vastly different from another. When picking an underrated team, I look for a roster with highly talented and experienced returning players who aren’t easily recognized by the average college basketball fan. Additionally, a quality coach with a track record of year to year improvement is an important piece of the puzzle. In order to find the ultimate underrated team, I looked at many schools from all across the country. Cincinnati, Creighton, Kansas (yes, they’re underrated), Michigan, Michigan State, Purdue, UCLA, Villanova and Wisconsin received lots of consideration but I ultimately settled on a team that might be overlooked because of who they lost to graduation. 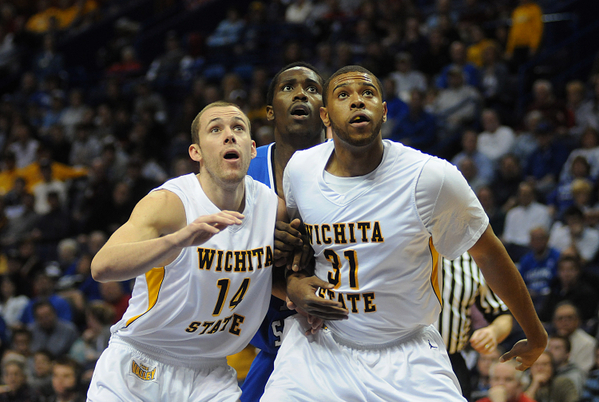 The Wichita State Shockers are my choice for the most underrated team in the nation heading into the 2011-12 season. Wichita State loses J.T. Durley, Gabe Blair and Graham Hatch from last year’s team but a returning core of five seniors should keep the Shockers at or near the top of the Missouri Valley Conference. Those three players combined for 23.9 PPG in 2010-11 as the Shockers captured the NIT title but head coach Gregg Marshall also returns a plethora of quality senior guards, led by Toure’ Murry and David Kyles, as he begins his fifth year at the helm in Wichita. Murry has great size and rebounding ability for a guard while Kyles is a lights-out long-range shooter, knocking down just under 40% of his triples last year. With Joe Ragland and Demetric Williams adding depth to the back court along with some freshmen such as Evan Wessell, the Shockers will have a deep and talented guard rotation. Senior wing Ben Smith is primed to break out as he takes on a larger role. Smith made 50% of his field goals and connected on 38.6% of his threes last year in only 16.5 MPG. If Smith and Kyles have a good season, Wichita State will put up a lot of points from behind the arc. With the the NBA Draft concluded and the annual coaching and transfer carousels nearing their ends, RTC is rolling out a new series, RTC Summer Updates, to give you a crash course on each Division I conference during the summer months. The latest update comes courtesy of our MVC correspondent, Patrick Marshall. The summer has been a busy one for the Missouri Valley Conference. They are hoping the 2011-12 season will be one that sees the conference become a multiple-bid league again. They haven’t had multiple bids to the NCAA Tournament since the 2006-07 season. Coaching Changes: The MVC only had two coaching changes in the offseason. First, after leading Missouri State to its first MVC regular season title, Cuonzo Martin was lured away from the Bears to Tennessee. He was replaced by Purdue assistant Paul Lusk, who weeks earlier might have been in line to succeed Matt Painter had Painter left Purdue to become the new head coach at Missouri. He has Valley ties as a player at Southern Illinois in his college days, where he helped the Salukis to three straight NCAA Tournament appearances. On the flip-side, Bradley head coach Jim Les was fired after nine seasons with the Braves. After taking Bradley to the Sweet Sixteen in the 2005-06 season, he had trouble getting the team back to that level. Les was replaced by Kent State head coach Geno Ford. These moves have caused a bit of a frenzy as Kent State filed a lawsuit against Bradley due to the way they hired Ford. Les has since been named the new head coach at UC Davis (where his son currently plays), and he too has filed a lawsuit of his own against his former school disputing the settlement he was paid from his dismissal. Wichita State’s Gregg Marshall and Northern Iowa’s Ben Jacobson were speculated for many jobs over the summer, but they both chose to stay with their respective schools. Creighton’s International Duo: Creighton’s Doug McDermott and Gregory Echenique have had a summer to remember. McDermott spent the end of June through the middle of July playing for the Team USA U-19 squad helping the team to a fifth place finish in Latvia. McDermott led the team in three-pointers made, was second in minutes, and third in scoring for the American team during the FIBA Championships. McDermott’s frontcourt counterpart Echenique is currently in Venezuela as a member of his nation’s national team. Echenique and his teammates will try to qualify for the 2012 Olympics in Argentina at the beginning of September before he returns to Creighton for the fall semester. League Talent: There have been several different examples of decisions made by the league’s top talent this offseason. 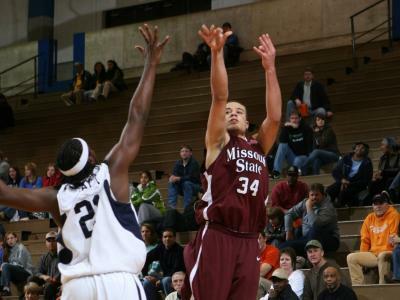 First off is the 2011 MVC Player of the Year, Kyle Weems. Weems earned his degree from Missouri State, and with a year of eligibility remaining, he could have easily decided to transfer to a different school to play right away, especially with a new coach coming into town. Instead, he decided to stay in Springfield for his senior season. In an opposite move, Bradley’s Sam Maniscalco was a senior last season for the Braves, but he spent much of it recovering from an ankle injury. Early last season it was decided that he would shut things down and apply for a medical redshirt, which he received. Then came the firing of Les. During Maniscalco’s redshirt season, he was able to complete his degree. With a year of eligibility still remaining and a new coach coming to town, the all-MVC player decided to transfer and finish his college career at Illinois. Finally, you have Drake’s Ravonte Rice. A runner-up for the MVC Freshman of the Year last season, Rice has not kept it secret that he isn’t necessarily happy at Drake, but that he isn’t going to transfer… at least not yet. This is a pivotal year for the Bulldogs, as two years worth of the conference’s best recruiting classes are now sophomores and juniors that have had marginal success. How Drake does this year could determine whether Rice stays or goes. 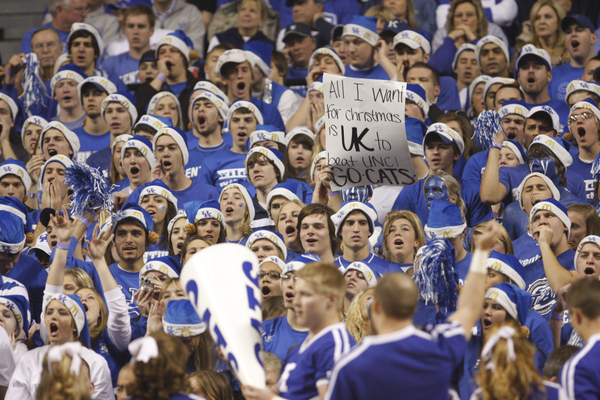 The first big hoops weekend of 2011 features many important games across the land. Here are five key games followed by a host of others. All rankings from RTC and all times eastern. With Butler’s loss at Milwaukee on Monday, folks in the Horizon League used to the Bulldogs’ dominance are excited that this may be the year someone else takes the title. Cleveland State leads the league by a game over Detroit and Wright State while holding a one and a half game lead over Butler heading into tonight’s game. Should the Vikings win on the road tonight and plow through the rest of their Horizon schedule, expect to see Cleveland State win the league. Obviously we’re a long way off from that but CSU is currently in a nice position. Butler’s problems have been on the defensive end. The Bulldogs have given up an average of 73.6 PPG in their losses while their defensive efficiency has dropped significantly from their top five ranking of a year ago. The biggest hoops weekend of the year thus far features a blueblood clash, a national championship rematch, a good mid-major battle, a key top 25 Battle in Seattle and a bunch of other quality matchups. All rankings from RTC and all times eastern. Two of the three members of the 2,000 win club meet in Chapel Hill with the Tar Heels holding a 21-11 edge in this series. Even better, Gus Johnson is calling this game for CBS in its first nationally televised game of the season. North Carolina has won five of the last six meetings and could really use a quality win after starting the year 0-3 against major conference opponents. The story for North Carolina will be turnovers. Roy Williams must be going crazy over his backcourt, which committed 14 of UNC’s 18 turnovers in a loss to Illinois on Tuesday. Carolina ranks #217 in turnover percentage but Kentucky, surprisingly is just #305 in forcing turnovers. That could help North Carolina’s confidence in a home game where the place will be sold out and the fans really fired up. If Harrison Barnes can break out of his slump, North Carolina has a really good chance to win this game. Tyler Zeller and John Henson have been the only reason UNC has been competitive. With everyone else on the team having a hard time, Zeller and Henson have combined to average 26 points and 18 rebounds per game. They’ll face a different kind of challenge against Kentucky star freshman Terrence Jones. The 6’8 Jones has been on a tear to start the season, averaging 21/10 while blocking over two shots a game and stretching his game to the perimeter as well. It’ll be interesting to see whether Roy Williams puts Henson or Barnes on Jones defensively as neither comes close to Jones’ strength and athleticism for his size. A better strategy might be to let Jones get his points and focus the defense elsewhere, specifically on getting turnovers from Brandon Knight. The freshman point guard has played well for John Calipari, but his 4.5 turnovers can be a major problem against an up-tempo team like North Carolina. 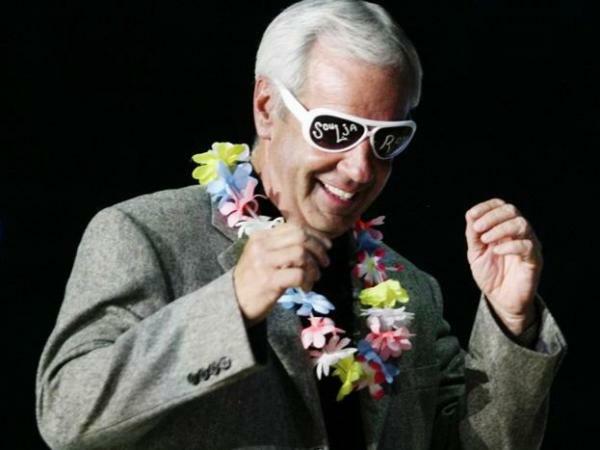 UNC ranks #19 in tempo which is the quickest pace Kentucky has seen since Washington in Maui. Against the Huskies, Knight had eight turnovers and no assists, though he did score 24 points. North Carolina’s guards must be ready defensively against a Kentucky team that shoots 41% from long range, good for #25 in the nation. The Tar Heels have not been good defending the trey, ranking #185. This matchup could tip the balance of this game towards UK if UNC doesn’t defend well. North Carolina gets 61% of its points from inside the arc, something to watch against Kentucky’s tough interior defense which ranks #8 in block percentage. Expect a fun to watch game with a lot of talent on the floor and intensity on the sidelines and in the stands. It’s hard to predict a winner here because UK has the edge overall but UNC is at home where they enjoy a nice advantage. Best to call this one a toss-up. The rematch of last year’s epic title game doesn’t have nearly the same feel. Duke is better than last year while Butler has had a rough start to the season with point guard Ronald Nored suffering a concussion against Siena. He’s day-to-day according to Brad Stevens and may miss this game. Butler’s do-everything star from last year’s team, Gordon Hayward, is gone too, averaging just two points a game in less than ten minutes for the Utah Jazz. The Bulldogs were shredded by Louisville and upset by Evansville at home last week, two disappointing losses for a team that came in with high expectations again this year. Look for Duke’s shooters to dominate this game as Butler really struggles on offense and is mediocre defensively inside the three-point line. 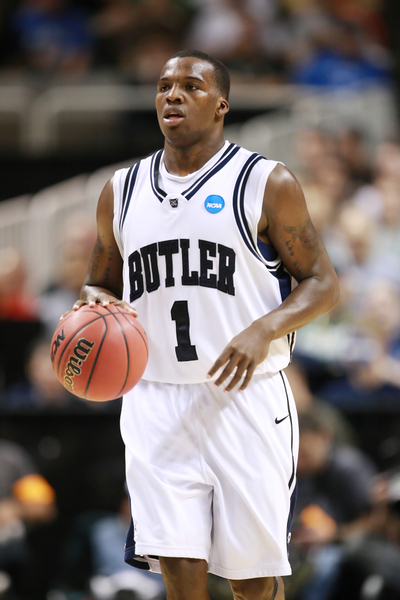 Butler ranks #171 in two point defense and is one of the worst teams at blocking shots, #312. Duke’s opponents get most of their points inside the arc but Butler is just #246 in two point percentage. Leading scorer and rebounder Matt Howard is making 55% of his shots but as a whole the team is just at 43.5%. Shelvin Mack is back too and has done a nice job distributing the ball, especially with Nored out. Howard’s foul problems are still there but he has yet to foul out of a game this season. Going up against the athletic Mason Plumlee and company inside, it would be naïve to think Howard won’t have foul problems in this game given his history. Duke is the top ranked team in offensive efficiency and should be able to pile up the points against Butler. Kyrie Irving, coming off his spectacular 31-point performance against Michigan State, makes his return to his home state of New Jersey and will surely be ready to play well in front of the home folks. Duke simply has too much for Butler this time around. While it’s sure to be nostalgic for most college basketball fans, don’t expect this game to be close especially if Nored is still out.